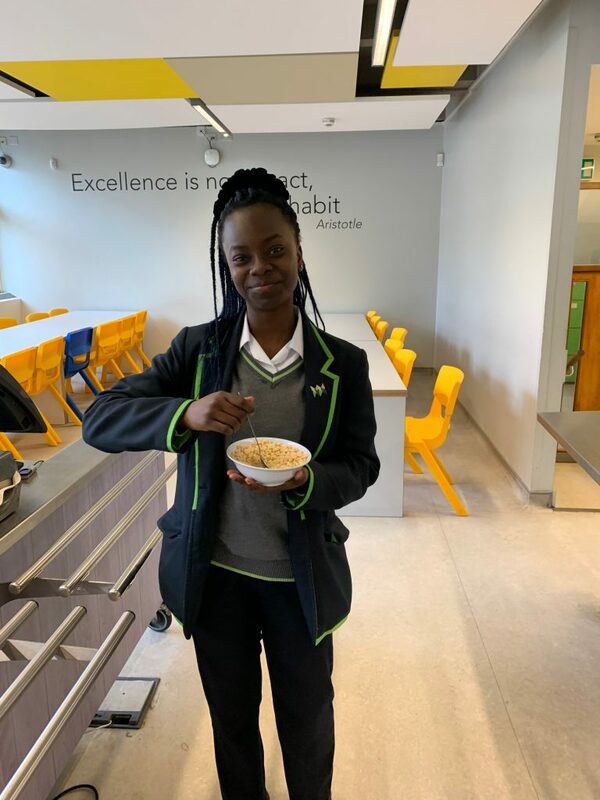 At Haggerston we put an emphasis on healthy eating and enabling students to make informed health choices. Our range of hot or cold meals and snacks, includes both vegetarian and Halal meals. Acknowledging that some students skip breakfast at home, we offer healthy breakfast options before school (7:30 to 8:30am) to avoid the distraction of empty stomachs. We encourage students to drink fresh water throughout the day and allow students to drink from their own water bottles in lessons. Students in receipt of Free School Meals, will find a range of filling and nutritional balanced options, including the hot food meal deals, that are affordable within their allowance. If you are not in receipt of Free School Meals but believe you may be eligible, further information can be found on the Hackney Learning Trust website. https://www.learningtrust.co.uk/schools/Pages/PupilBenefits.aspx. To ensure safety, only Sixth Form students are permitted to leave the school site at lunchtime. To support our healthy ideals we have partnered with Caterlink to deliver catering services within our school. Here are a few words from Caterlink. We love food and hope your children will love what we provide at Haggerston School. We embrace natural ingredients, love seasonal produce, and have developed ethical trading with many of our suppliers. Our meat, fruit & vegetables and bakery is all sourced from suppliers as near as possible to the school. We make a big effort to only use fish from sustainable sources and all our meat is UK reared and red tractor certified, traceable back to the farm. We are proud that 95% of all our food is freshly prepared from scratch on site by our team and our menus are refreshed every term to ensure we reflect the changing seasons and trends from the high street. 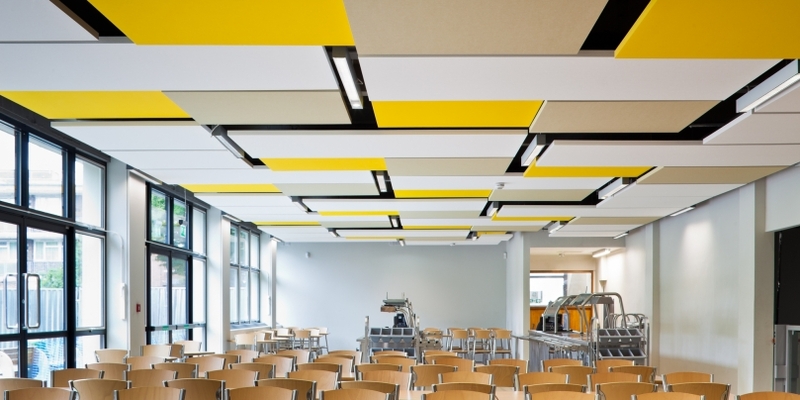 We have worked hard with Haggerston School to ensure our offering is fully compliant with existing government regulations and the new rules with school food which came into force in January 2015. Students at Haggerston School start their day with a free, healthy breakfast thanks to a new government initiative. 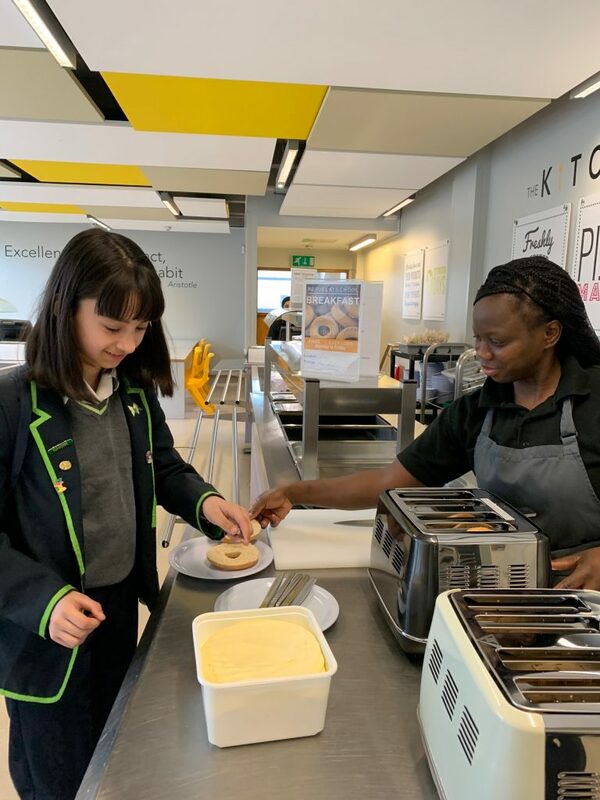 Haggerston School works in partnership with the Magic Breakfast Charity to provide a tasty range of food including cereals, porridge and bagels. 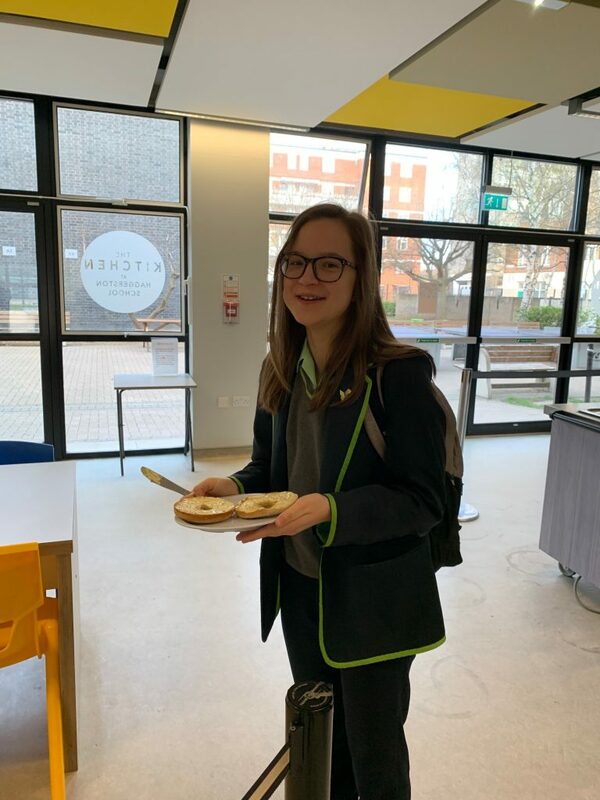 The morning offering, provided by the Department for Education via the National School Breakfast Programme, is free to all students between 07.45-08:45 am every weekday in the canteen from Tuesday 26th March 2019. Options available include Nestlé’s Corn Flakes and Rice Crispies, Quaker Oat So Simple porridge and toasted bagels. Students do not need to register in advance and can just turn up on the day. Please visit the Magic Breakfast website for more information on the National School Breakfast programme. At just £2.20 the student meal deal, consisting of main course and dessert, offers a healthy lunch at amazing value for money. We strongly recommend that parents and carers use our online payment system to credit student dinner money accounts. This avoids having to send your child in with cash and allows you to view their meal choices online. Click here to find out more.